Tom Minton, writer and consulting producer on “The Adventures of Taxi Dog”, an independent live action/puppet/cg project based on a beloved children’s book. Administering and grading tests for the University Civil Service System of Illinois while in college. The sole wholly clerical job I ever had to do and the most surreal. It made me realize that I had to go for a career in animation because it had to be saner, and it was. 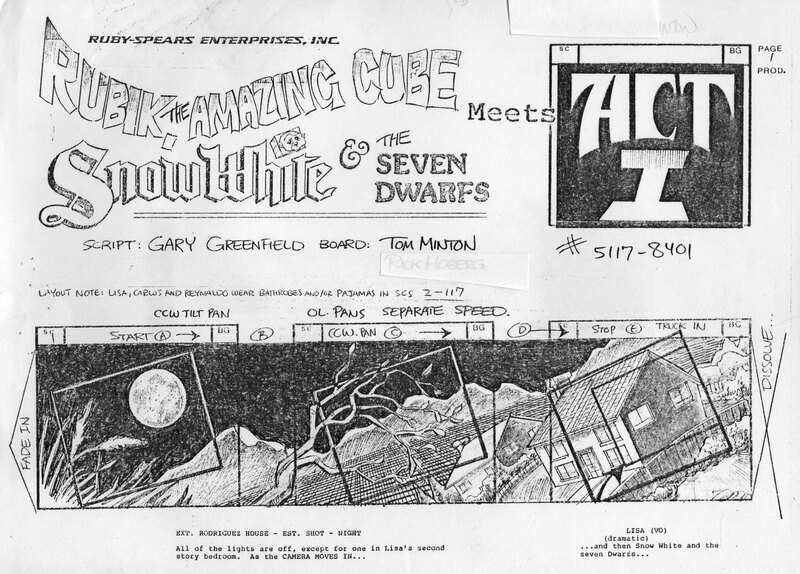 “Mighty Mouse, the New Adventures”, “Tiny Toon Adventures”, “Animaniacs”, “Pinky and the Brain”, and, of course, “Rubik, the Amazing Cube Meets Snow White and the Seven Dwarfs”, a 1983 classic that the public sadly never saw! I was lucky enough to grow up watching not only Max Fleischer’s Popeye and Betty Boop cartoons on television but to watch tons of Warner Bros and Paramount cartoons in 35mm at my hometown movie theatre, every Saturday afternoon. I’m talking about two to three hours of strung together theatrical shorts in IB Technicolor prints. Kids today have no idea what they missed. Herrin, Illinois. About 114 miles southeast of St. Louis, Missouri. I graduated college with a BFA in Fine Art from Southern Illinois University at Carbondale (home of the Salukis) and always wanted to work in animation, seemingly from the time I was on the planet. Many adults told me that I was not being realistic; that there would be machines that would draw pictures in the future. Well, here we are! Usually notes arrive via e-mail and there is a phone conference about twice weekly with the partners on this project. Sometimes there are meetings that run several hours at the Soho Club on Sunset, after which revisions ensue, so that everyone is on the same page. This is an atypical creative endeavor but because of the movers and shakers behind it, it happened. I’m from Illinois. To quote Mel Brooks, “Any day not spent lifting coal is good.” Both of my grandfathers died of black lung disease. I consider myself beyond lucky that people have (so far) paid me to write, draw or otherwise create entertainment with a touch sensitive keyboard or a sturdy graphite instrument. All of my time spent working in the animation industry seems like one long, unbroken day to me. That is a good thing. A producer or director needs to absolutely know three things: what he or she wants, how to get it and how to present it. Many in this industry tend to struggle mightily with the first one. To be fair, it is not an easy task. I’ve been in their shoes. For many years I would have said that there is not enough time to smell the roses. Now most animators can inhale little else. But the feast or famine cycle is indigenous to all areas of show business. Currently, Microsoft Word and Final Draft. But I enjoy drawing with pencils, paper and ink. Drawing is more direct with those materials. I trained under Ben Washam, one of Chuck Jones’ master animators and a great natural teacher. Spent an afternoon with Tex Avery in 1977, then interviewed with him in 1980 at Hanna-Barbera only weeks before he passed. Bob Clampett was always throwing parties at his Seward Street studio back then, showing old cartoons and regaling then-young cartoonists like me with tales of Termite Terrace. I briefly got to work with Maurice Noble, which was amazing. Ralph Bakshi is one of a kind and a much gentler soul than his critics would have you believe. I’ve known John Kricfalusi since he came down from Canada in the late 1970s. We developed some material for Ralph long before “Mighty Mouse” and I also worked with John earlier this year on an Adult Swim project. 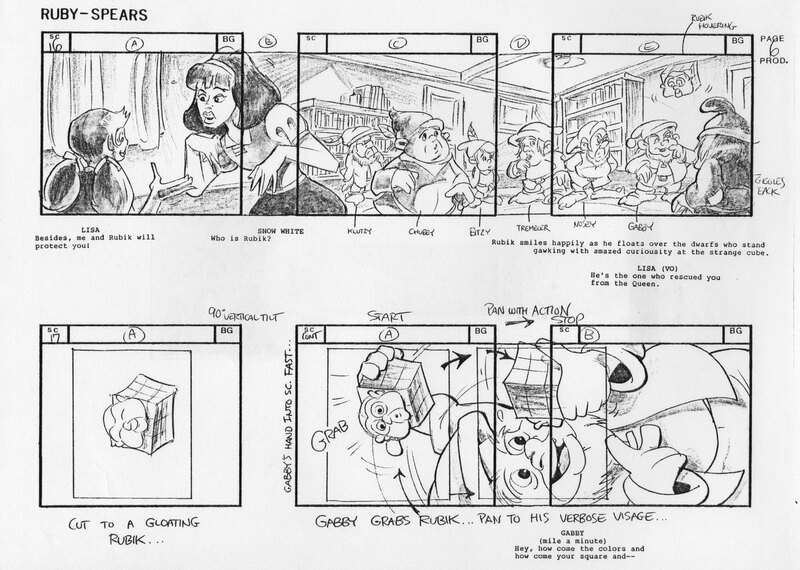 My generation was fortunate in that we were able to learn from the last of the golden age animators. Those guys could do in one hour what it would take us an entire day to accomplish because they knew what NOT to draw. It would be hard to beat the year 2001. I was a senior producer at the world’s largest entertainment conglomerate, working on a DVD, also dealing with losing my wife of 17 years to brain cancer, when, in July of that year, my son was hit by a car while crossing Ventura Boulevard on foot, breaking both legs. Just to make things interesting, three people I knew in the business, and one in my crew, committed suicide in the same time frame. To top it off, the company wanted to lay me off the week my son emerged from the hospital after this third surgery, forcing me to take a fifty percent pay cut if I wanted to stay employed because a hot, new executive division head had come in with a mandate to eliminate staff and slash salaries to the bone, in return for a fat bonus. Woody Guthrie could have written a hell of a song about it, but he’s dead. I need to take up harmonica. None that I can yet talk about. I enjoyed taking black and white photos with natural light and processing the negatives, then making prints, which today would be called DIY. It was fun but I haven’t done it for at least thirty years. The digital age has unintentionally devalued some things. Find out if your urge to make animated cartoons is real. You are going to have to work a 40 hour week in any studio on material for which you may not have an affinity and they will work you hard. Find something about the work itself that you enjoy and DON’T TELL YOUR BOSSES WHAT IT IS. They’ll take it away or screw it up, meaning well, of course. And never take ‘no’ for an answer from anyone in power. If you don’t like their attitude, wait two weeks and they’ll be replaced. William Goldman was right about Hollywood: nobody knows anything! Tagged Bob, Cartoon, Chuck Jones, Final Draft, Hanna Barbera, Microsoft Word, Paramount, Ralph Bakshi, Tex Avery, Warner Bros..
“Rubik’s Cube Meets Snow White”… What a hoot. 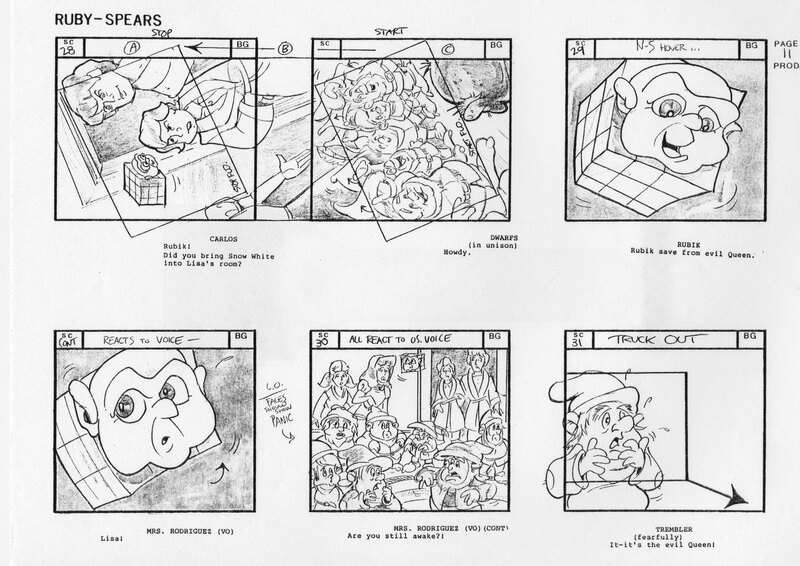 My first job in the industry, back in ’83, was storyboarding on “Rubik’s Cube” and “The Puppy’s New Adventures”. As for not telling your bosses what you enjoy about your job because they’ll take it away if they know… they’re just as likely to take it away whether they know or not. But I liked what you say about “nobody knows anything” in Hollywood. They act like they do, but they don’t. I think it’s fair to say that some in the industry like to keep their thumb on our heads because if we actually knew how much power we could have we would make a lot more money. Knowledge is power though and as we the artist read about each others lives I think it strengthens us. I’ve been a fan of Tom’s since he was at SIU-C. I’m glad he’s succeeded in such a difficult field.